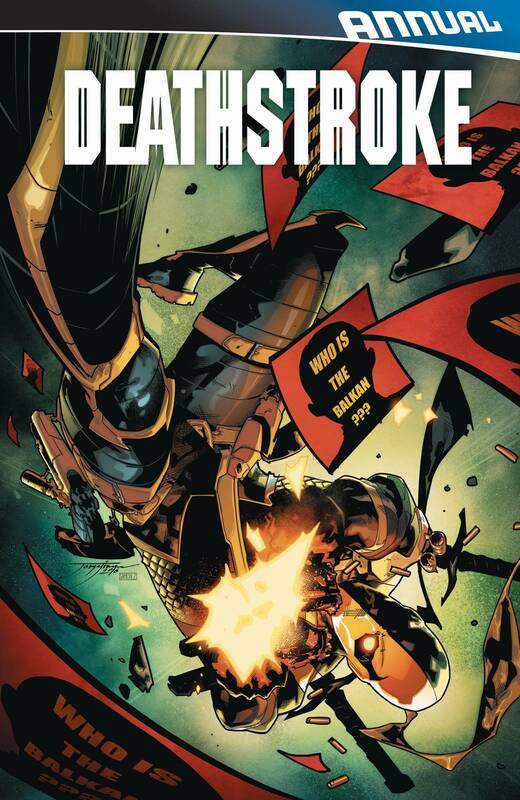 When the son of a powerful drug warlord is assassinated by a mysterious costumed hitman known only as The Balkan, Deathstroke is hired by his family to take revenge! But who is The Balkan? And what is his endgame? Find out in a stunning annual you won't want to miss!